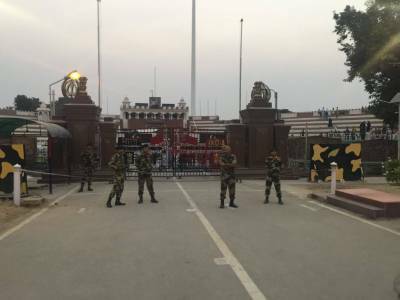 The Wagah border is a ceremonial checkpoint in the state of Punjab in India and is the gateway to Pakistan also which was inaugurated to celebrate the peace keeping and correlation between two countries. Prior to the Aman Setu Bridge in Kashmir, operation from the year 1999, Wagah Border was the only passage between the two countries as it is a checkpoint on the historical Grant Trunk Road that connects the frontier city of Amritsar, India to the city of Lahore in Pakistan. 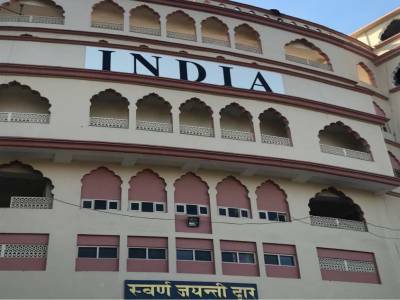 The border town of Attari is the nearest locality in Wagah Border about 3 KM away that hosts the tallest flag pole (400 metres) in South Asia. The place is a great tourist attraction as it incites both historical curiosity as well as a strong sense of nationalism among the visitors. The Wagah Border is about 32 KM away from the Golden Temple city of Amritsar and the city is certainly a great place to visit not for the temple only but for its historical importance during various medieval eras including Indian Freedom Struggle. 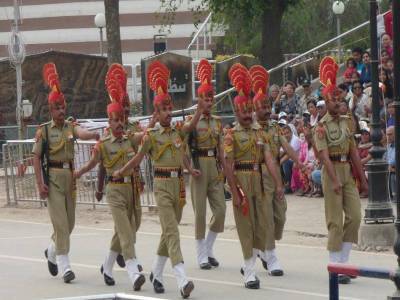 Wagah Attari Border is a checkpoint manned by the Indian Border Security Force and the Pakistan Rangers. During every afternoon the checkpoint becomes a festive joint for the people of both countries due to the Routine Parade. The ceremonial parade is conducted by the forces of both countries with quick marching manoeuvres and a colourful display backed by the loud rejoices of the people. 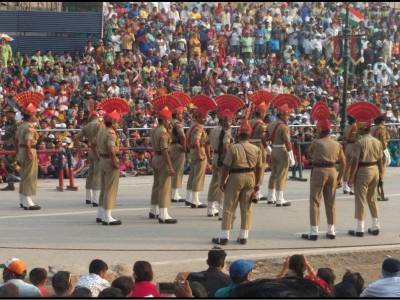 This ceremonial parade at Wagah Border is a festival indeed that is more glamorous during the national holidays. 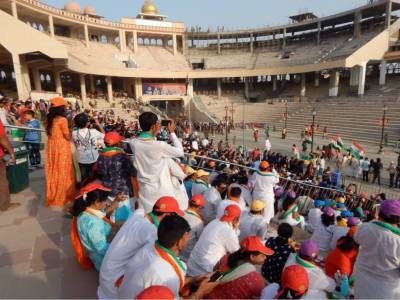 Get quick answers from travelers who visit to Wagah Border.